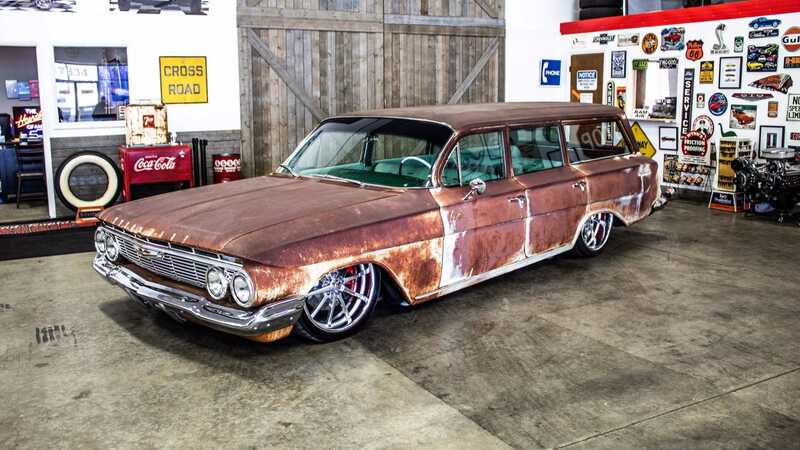 Don’t let the looks of the wagon fool you, this custom Chevy has had some serious work done. 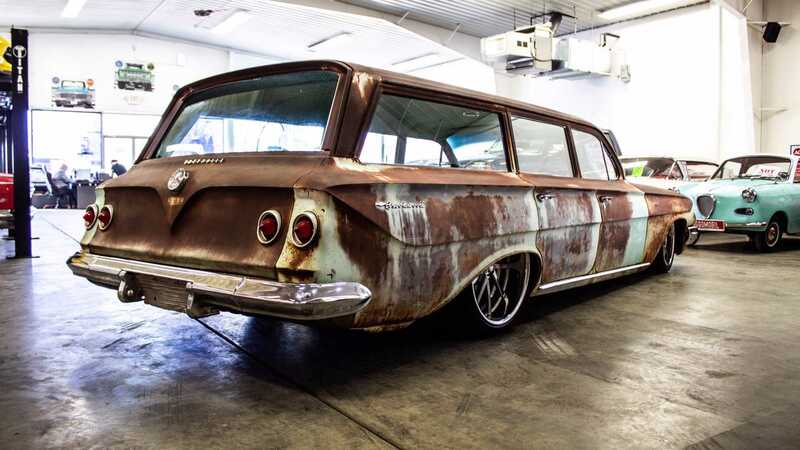 This 1961 Chevrolet Brookwood is an interesting build that would fall into a category of its own. 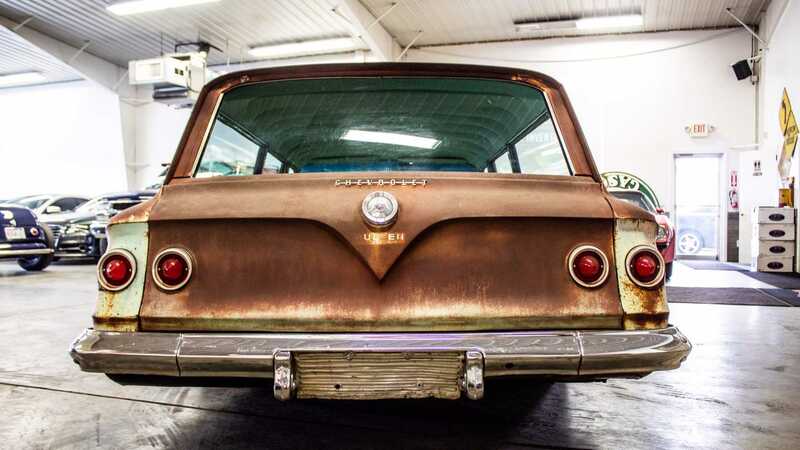 It’s not quite a restomod, largely due to its exterior, but it would be a shame to only give it credit as just another patina car. 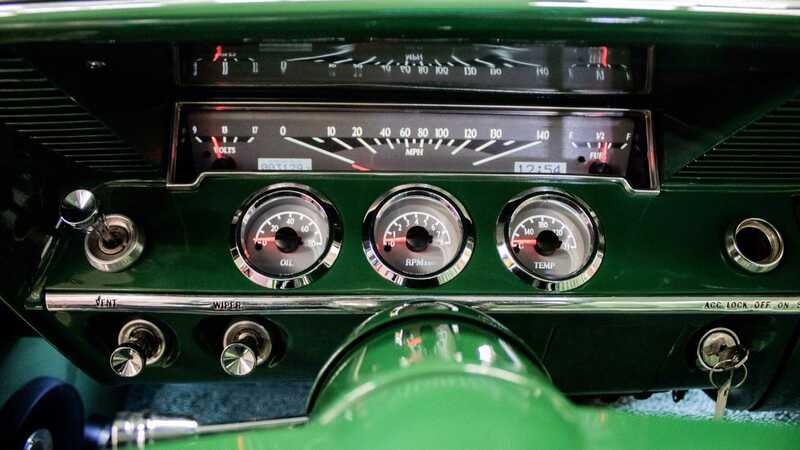 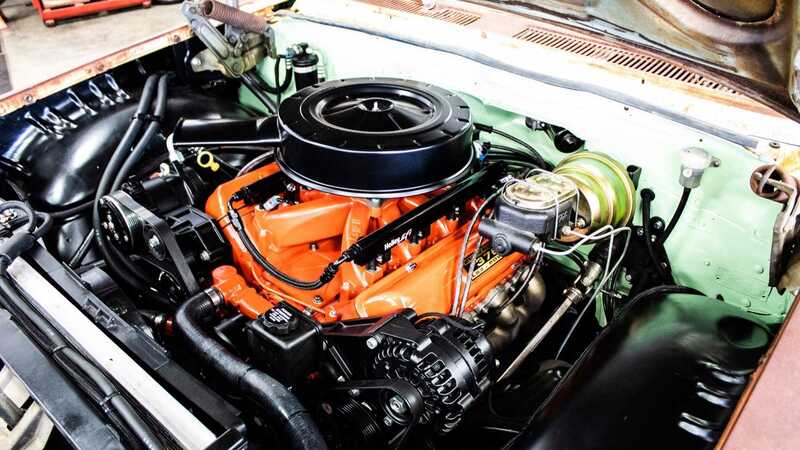 Powering this Chevy is an engine from more modern times, but the upgrades don’t stop there. 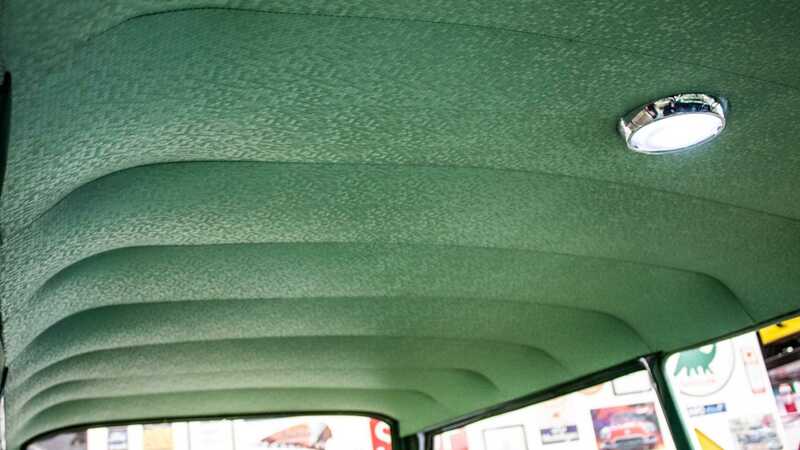 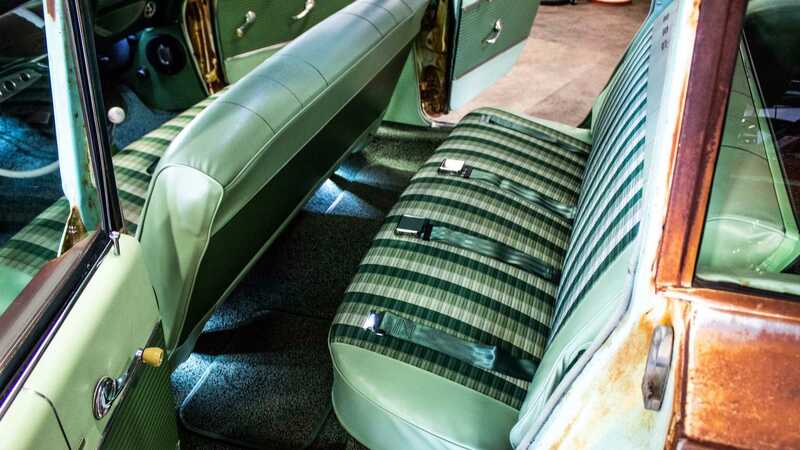 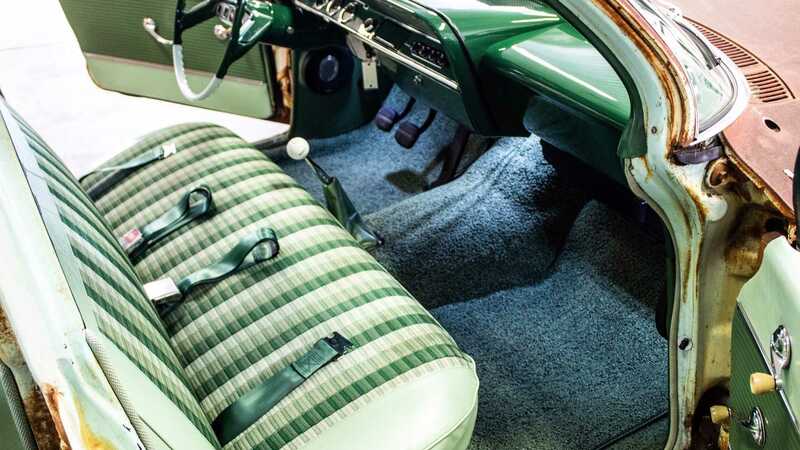 When the 1961 Brookwood was put on the market, it represented the only year of the model’s third generation. 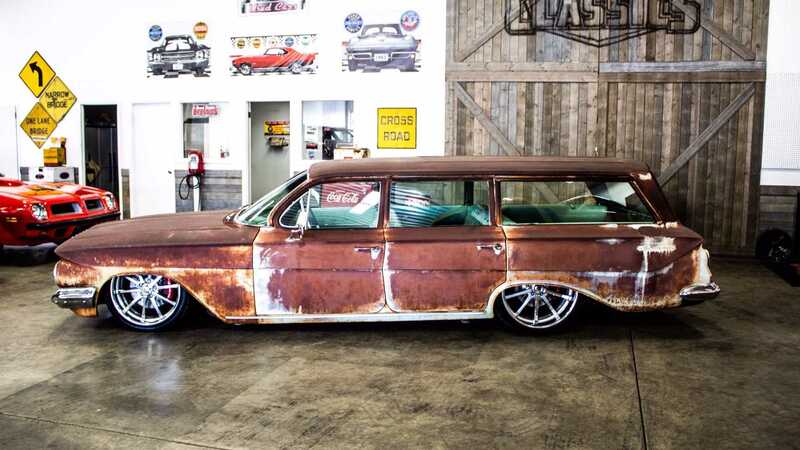 GM gave the full-size wagon a completely new body, and several engine options, but nothing like the engine that’s taking real estate in the engine bay today. 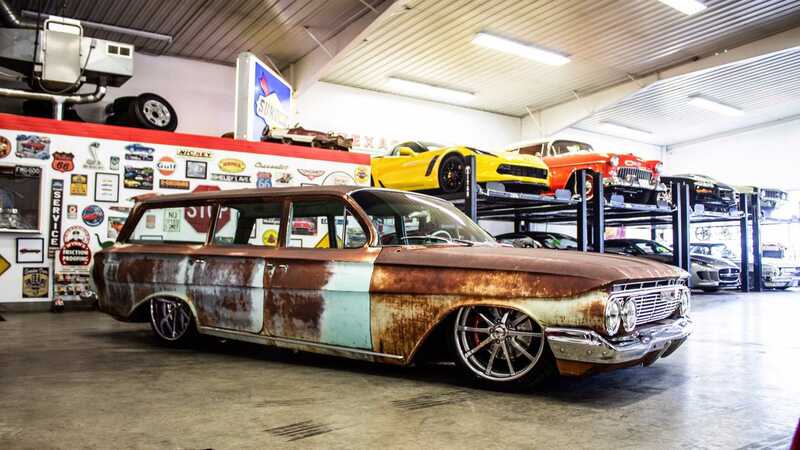 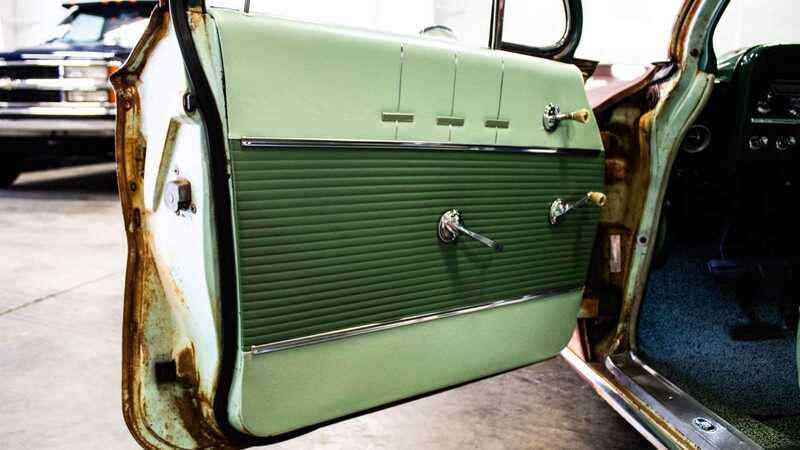 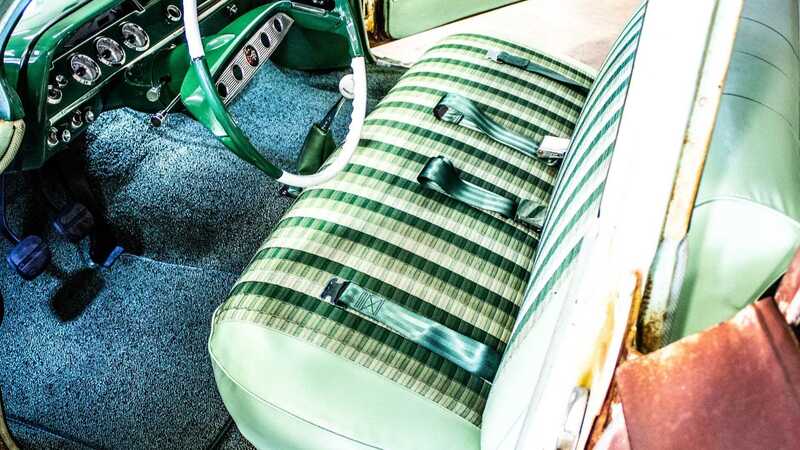 Under the hood of this Brookwood wagon is an LS3 engine that’s dressed up to give it a vintage vibe. 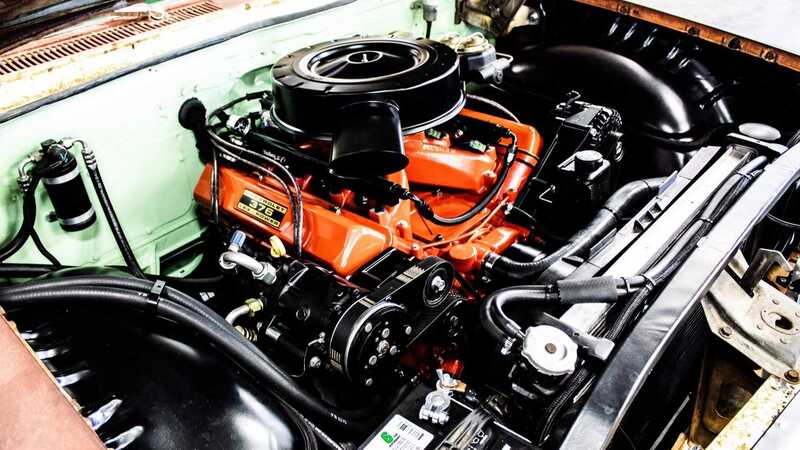 A Holley air intake manifold, Holley oil pan, Holley accessory drive setup, Delmo Speed throttle body relocation kit, Delmo plug wires, custom cast exhaust manifolds, custom chassis harness, and stand alone LS3 harness all support the use of the powertrain in this classic build. 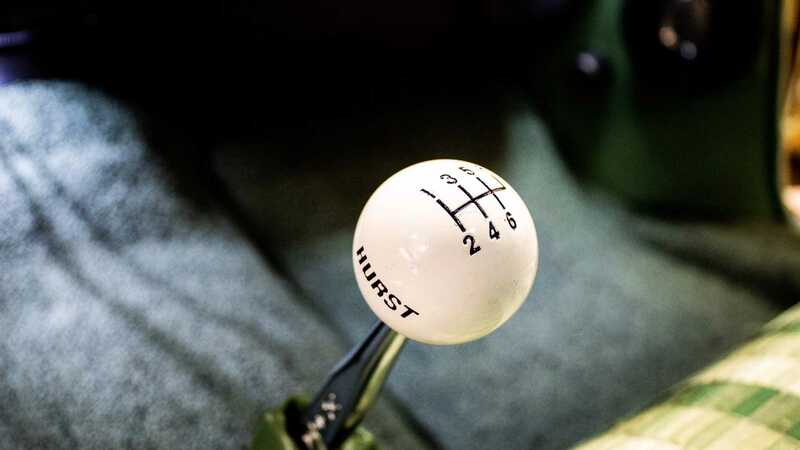 Behind the engine is a modern T56 six-speed transmission with aftermarket clutch, which feeds into a beefy rear end with 3.73:1 gears. 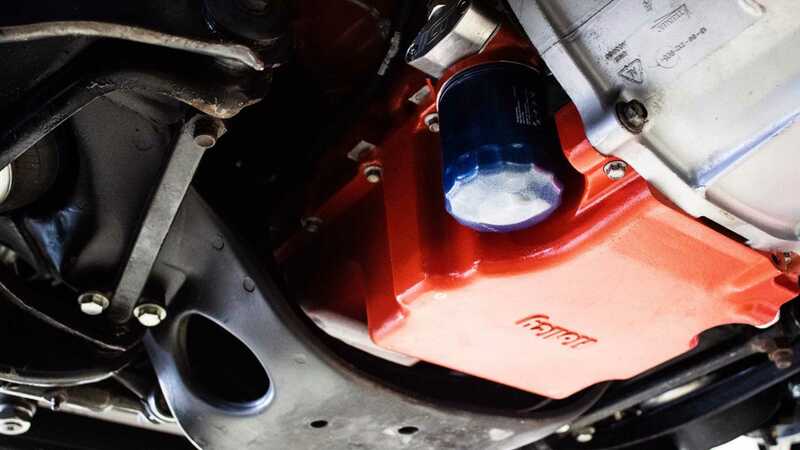 Outside of the engine bay, the power gets support via being put to good use, thanks to a completely overhauled suspension. 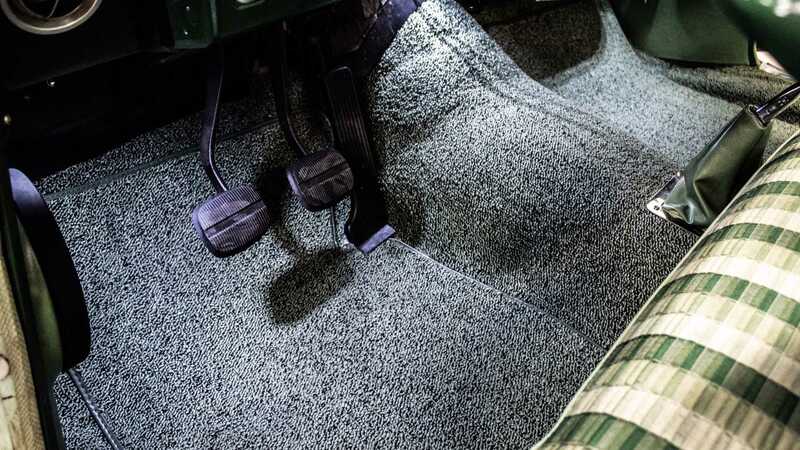 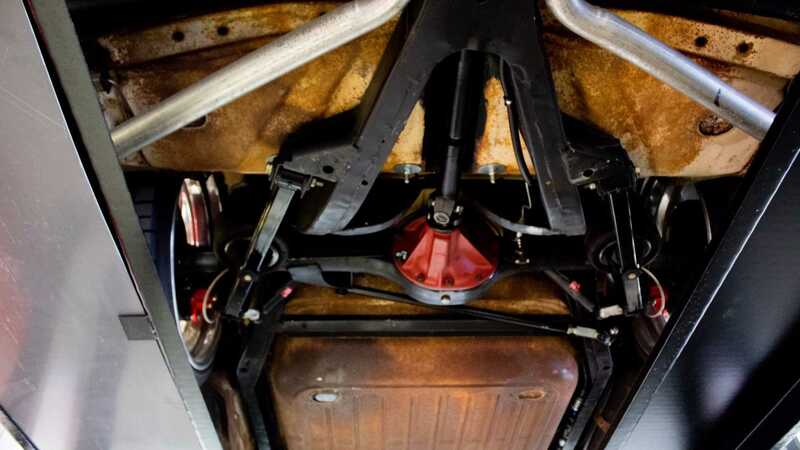 Keeping it planted is an air ride suspension, aftermarket rear control arms, front control arms, sway bar, and panhard bar. 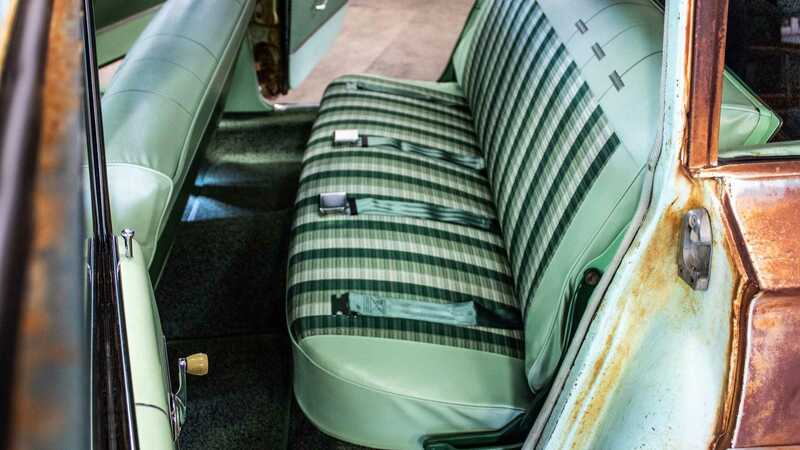 It also benefits from new tierod ends, idler arm, and steering gearbox. 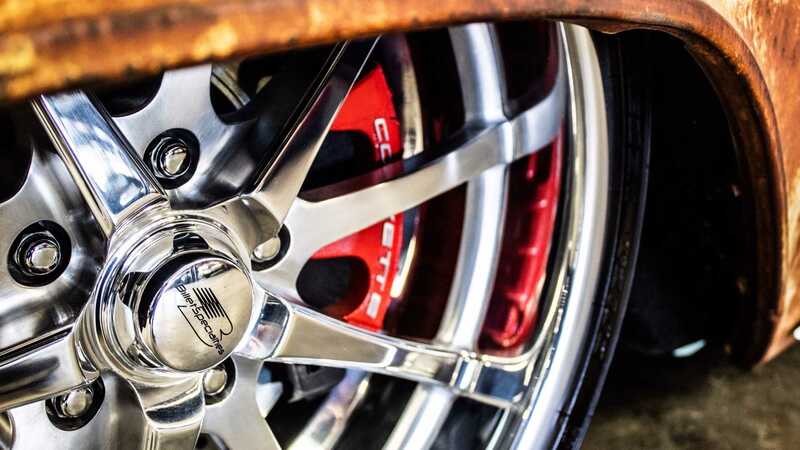 This tank of a car gets the stopping power it needs from a set of 13” disc brakes on all four corners, that bring all the modern technology given to the C5 Z06 Corvette, and it rolls on Billet Specialties turbine wheels. 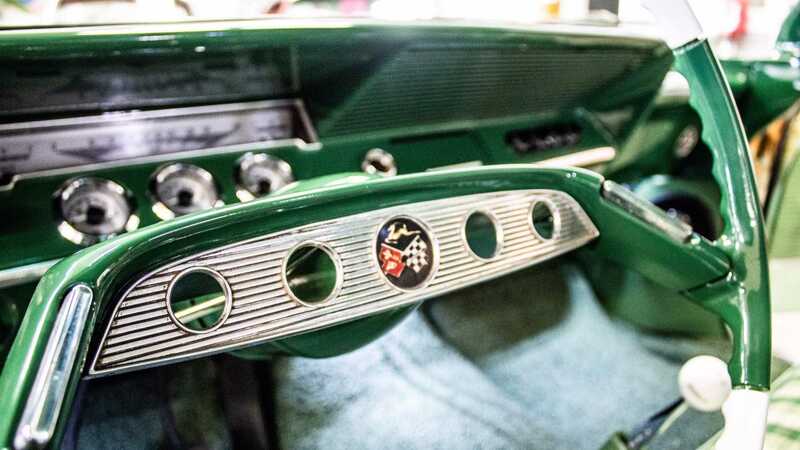 Currently up for sale through Grand Rapids Classics, check out the rest of their inventory here. 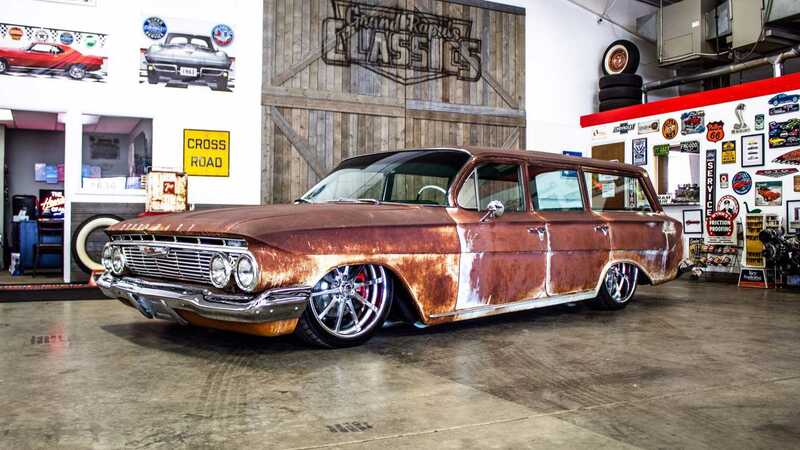 There’s also another similar build we recently featured here.